The physical body and the mental and emotional level are closely linked. Any psychic distress has a direct correspondence in some part of our body. Similarly, any pain or somatic has a correlation with a conflict on the psychic plane. This also applies to the emotional state. 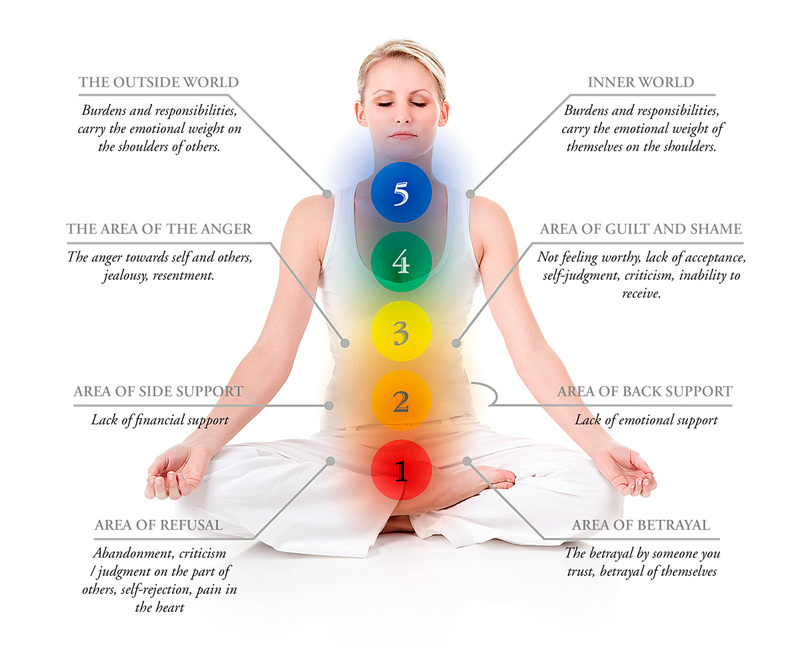 All these planes have a precise correspondence on the subtle energetic bodies, such as chakras, aura and meridians. Acting on the energy plane means touching all levels of our system (physiological, psychological, emotional) and therefore activate the healing process through the way of pleasure. Californian Massage is a total approach that aims at releasing internal energies and circulating them in the whole body, thanks to the elimination of energy and emotional blocks. that puts at risk our survival. Sexual dysfunctions. First year of life. Creativity Childhood influences. Violation of the body and personal space. Something done to us or taken from us without permission. Sexual disorders Fears and phobias. Loss of control. Authorities abusive. Lack of autonomy. Pain. Sadness. Loss. Empty heart. Lack of love. Embarrassment. Shame. Humiliation. Repressed feelings.